Welcome to the Paper Makeup Stamps March Release Review Day! 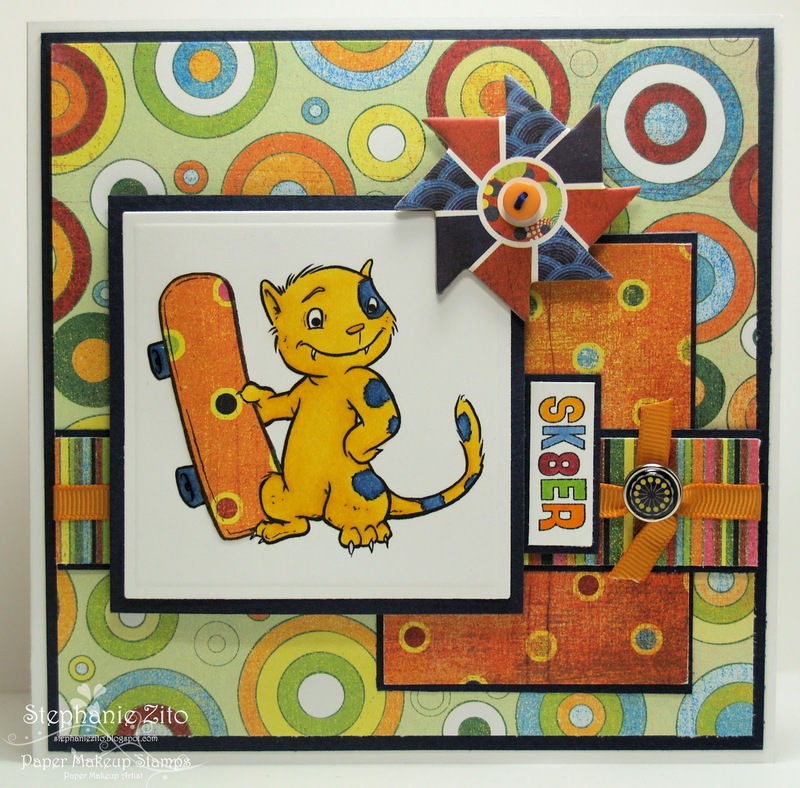 Today I get to share my favourite image from the March release - Skater Cat! Isn't he just the cutest?!!!! Products used on my card: Bazzill and Neenah cs, Basic Grey Lime Rickey dp, buttons, brad and Chipboard, Memento ink, Copic Markers, Nestabilities, SU ribbon and DMC floss. Inspiration for my card came from last week's sketch #144 at Friday Sketchers, this week's challenge #59 at Paper Sundaes and this week's challenge #155 at Cute Card Thursday. Make sure to stop by the PMS blog to see what the other DT has to share with you today! super fun...love the bright and fun colors. How cute is that? I love it, and your colouring of course!!! Nice DP you've used. Makes the card come alive. 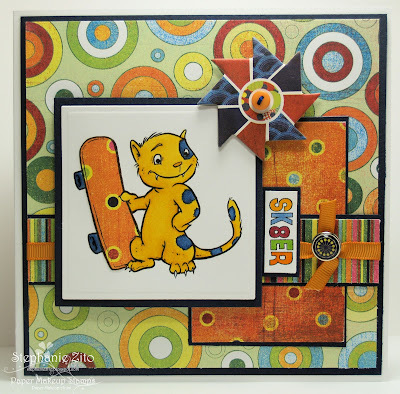 I LOVE that little skater cat! How fun!! Perfect dp for this little guy!! Love the pinwheel!!! you KNOW I love this card, Stephanie! Super cute and Sk8tr cat is awesome! Fabulous card! Such a cute card.